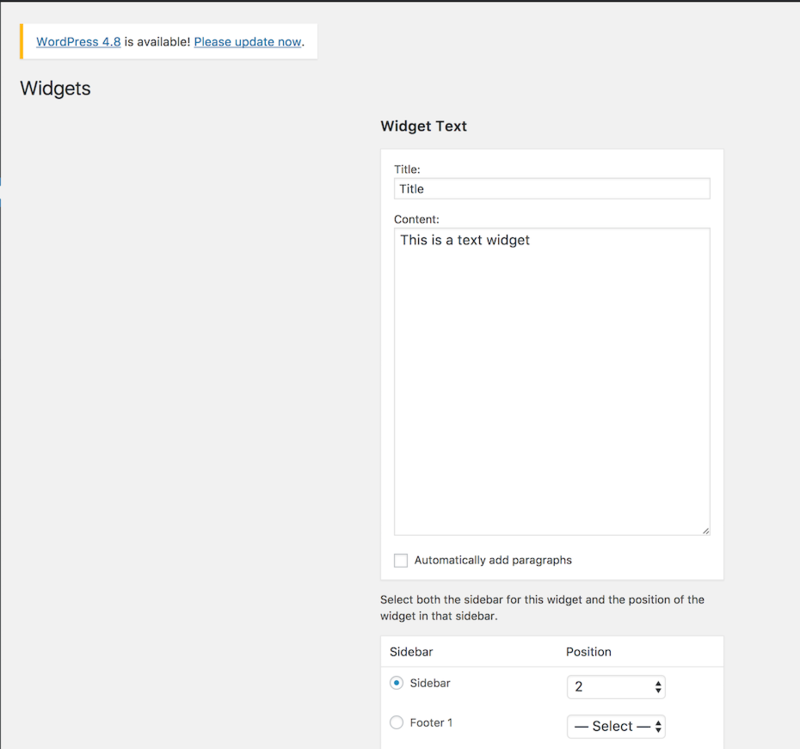 Go to WP-Admin ->Appearance ->Widgets. Add a text widget to any widget area and add some content. Click on Screen Options at the top of the page and enable Accessibility Mode. Attempt to edit the widget. Seen at ​http://alittletestblog.com/wp-admin/widgets.php?editwidget=text-3&sidebar=sidebar-1&key=0 using Firefox 53.0.3 on Mac OS X 10.12.5 on a site running WordPress 4.9-alpha-40885. /hat tip @kokkieh for reporting the issue. Screen Shot 2017-06-09 at Fri Jun 9 2.35.14 PM.png​ (203.9 KB) - added by designsimply 23 months ago. 40986.0.diff​ (13.2 KB) - added by westonruter 23 months ago. I don't, however, get any JS error. @afercia @designsimply please give 40986.0.diff​ a try. It should fix the Text widget and Media widgets so that they work on the widgets admin screen in accessibility mode, while also working without the mode and also working in the customizer. About $( window ).load() shouldn't that just be changed to on()? See for example #25371. Looking a bit into the history of the Widgets screen "accessibility mode", it was introduced in  and it's basically the no-js fallback of this screen. All the "classical" widgets can be edited also when JS is off, while the new ones are JS-based. I think a no-JS fallback should be considered passé. I tend to agree, however I think WordPress should consider to announce publicly that from now on a no-js fallback is not guaranteed, as this is a big shift from the development practices adopted in the last years.